Looking for proof of my heritage. Only know my Great-Grandmother said we were Cherokee. Not sure if its her side or her husband’s side, but I believe it’s his side. Marion (Bud) Slayton Jones and Minerva (Dovy/Dovie) Mae/May Tucker. Marion was born in Stillwater Oklahoma. Minerva was born in Joplin Missouri. B. 1805, Lived in Williamson county, Tennessee. Married Anna Jones and then her sister, Polly Jones. Had a daughter, Paralee Daniels, b. 1835. 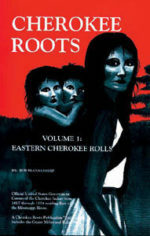 Walter was referred to as “Wat Daniels.” In notes from the family, Paralee was half Cherokee and her father 100% cherokee. I can’t find anything on Walter William Daniels in regular genealogy. My great-great-grandmother Dora Jean Jones was 1/2 Cherokee. She was married to Robert Benjamin Long and had a child, Robert Ray Long. I do not know her parents names. I am looking for information about my great grandparents. Cora Ellen Jones married to John Young. Their son Charlie Matthew Young is my grandfather. So this is my first query and I would like to know what are some common Cherokee surnames. I have always been told my grandmother, whose last name was Jones, born in Adairville Kentucky, was of Cherokee descent. So I am trying to find out.